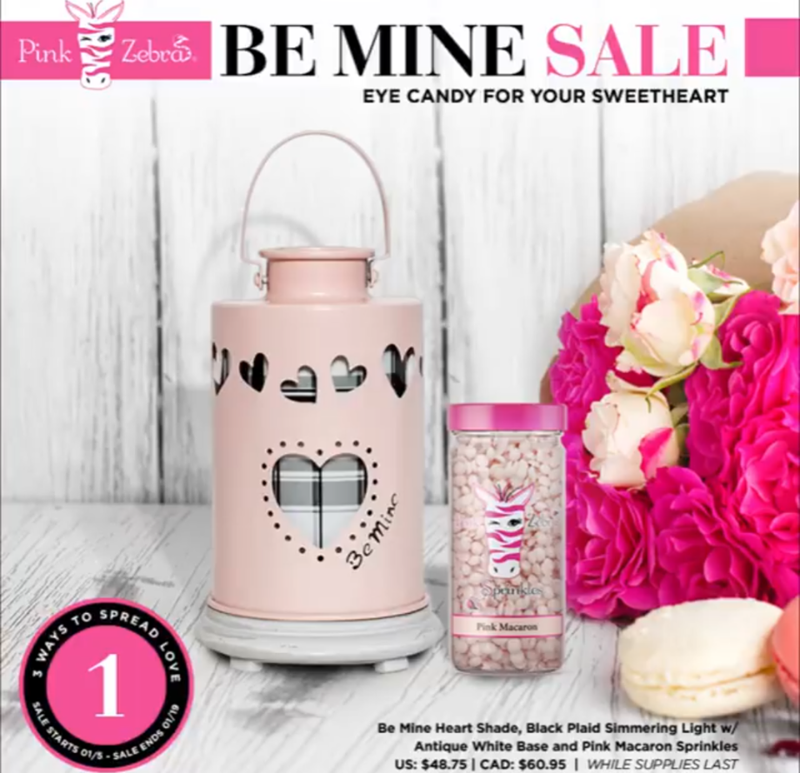 It is a fabulous new year and Pink Zebra has a fabulous new special for you! Our newest simmering light warmer is just in time for Valentine’s Day. It comes complete with a brand new scent Macaron. YUMMY! Either one of these packages will make a fabulous gift for your mom, sister, daughter, friend, co-worker, or even pick on up just for YOU to enjoy. Enjoy the plaid warmer by itself with your new soy wax sprinkles or add the fun, pink heart cut out shade to go over the plaid warmer. Pink Zebra makes it so easy to decorate your home, office, or even your car! Fragrances are very powerful and can re-create your most precious memories and it is always nice to walk into your house and have it smell inviting. My family is always asking what I am baking. This is a while supplies last Pink Zebra special so don”t miss out, order yours today. 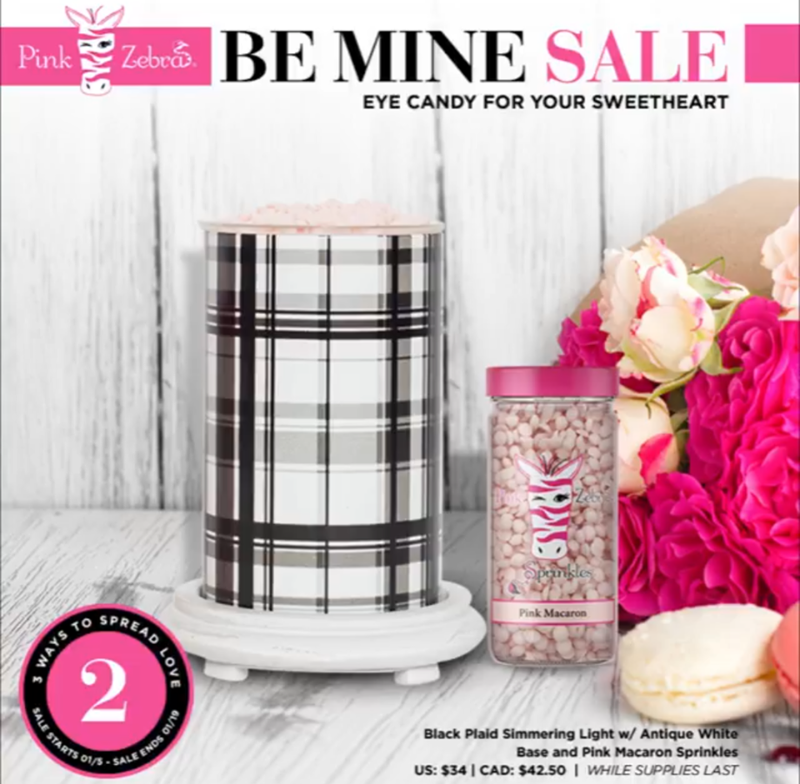 Your favorite Sweetheart will thank you! Spread the 💕 available now through 1/19 or while supplies last.